FAQs / Who Can Join? 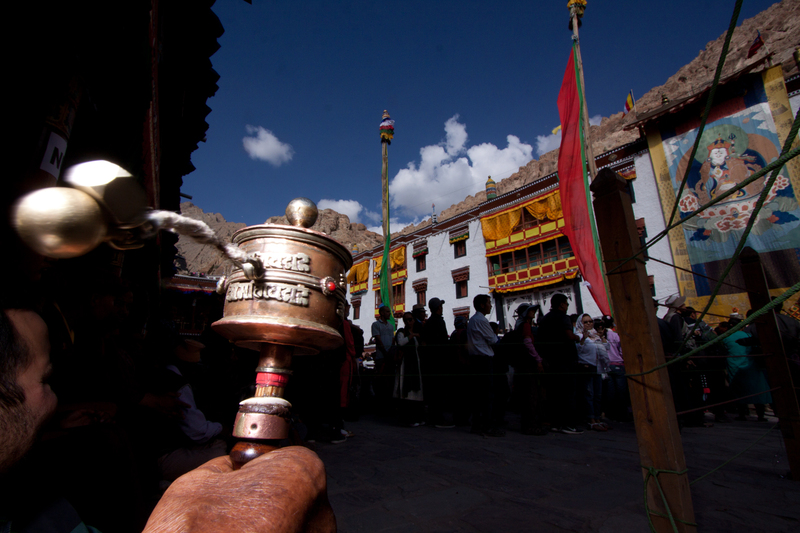 Hemis Festival is a two-day celebration, offering insight into the culture of the region. The main attraction of Hemis Festival is the masked dance performances by the Lamas around the central flagpole in the courtyard while the musicians play some traditional music. The beats of drums and trumpets and the sounds of cymbals and wind instruments commence the celebration of the festival with an early morning ceremony in which thousands of Buddhist followers and Ladakhi nomads take blessings from the portrait of Lord Padmasambhava. Hemis Festival has got prominent place in the international circuit of tourism and we also offer it as a special event. It’s a much awaited event during the summers for tourists. Day 1: Arrive at Leh. Transfer to a guest house/ homestay to check-in for night stay. Day 2: Spituk Gompa, Leh Palace, Shanti Stupa. Stay for the night with Taurus at Matho. Day 3: Sangam, Basgo, Nimu, Saspul, Alchi. Night with Taurus at Matho or outside Leh. Day 4: Nubra Valley to visit Hundar and Diskit. Night in a hired homestay/ guest house/hotel at Hundar. Day 5: Drive back to Leh and night stay with Taurus at Hemis. Day 6: Early departure (in a hired transport) for day trip to Pangong Lake. Drive back to Hemis, night in the camp organised by Taurus. Walk and explore Hemis. Day 7: Witness Hemis Festival. Stay with Taurus at Hemis. Walk the village and meet and greet the folks with your cameras. Day 8: Drop at the airport as a group. Accommodation: 6 nights in Home-Stays/ Guest Houses and hired camp. 01 night onboard Taurus. Suitable: Indian nationals who are physical fit for high altitude. No trekking involved. Standard Tariff: Rs 69750 per person. Special Promotional Tariff: Rs 56,750 per person, available if you book before 15th May. Special Tariff Offer: We have special tariff under various options. If a group of 8 to 10 opts together and makes 100% payment, the discount offer is total of Rs 32,000 for the group. If group 0f 10 books by making 100% payment instant, then total discount Rs 55,000 is for the whole group as total amount. Day 1: 6th July: Arrive at Leh. Stay in a guest house, relax to acclimatize and rest for the night. Day 2: 7th July: After breakfast, your transport will take you on excursion to explore local Leh: Spituk Gompa, Leh Palace. Stay for the night with Taurus at Matho. Day 3: 8thJuly: After breakfast, departure to visit Sangam (confluence of the two most famous rivers of Ladakh Zanskar and Indus), Basgo, Nimu. On the way, explore cave paintings, ancient Monastery at Saspul, famous Alchi Monastery. Return to Leh or village Matho to stay with Taurus. Day 4: 9th July: Early morning drive to Nubra Valley; explore the white sand dunes of Hundar, ride the unique camels, this location offers plenty of opportunity for photography. Night in a homestay/ guest house at Hundar. Day 5: 10th July: After early breakfast, visit Diskit, departure for Leh. Night in a camp with Taurus at Hemis. 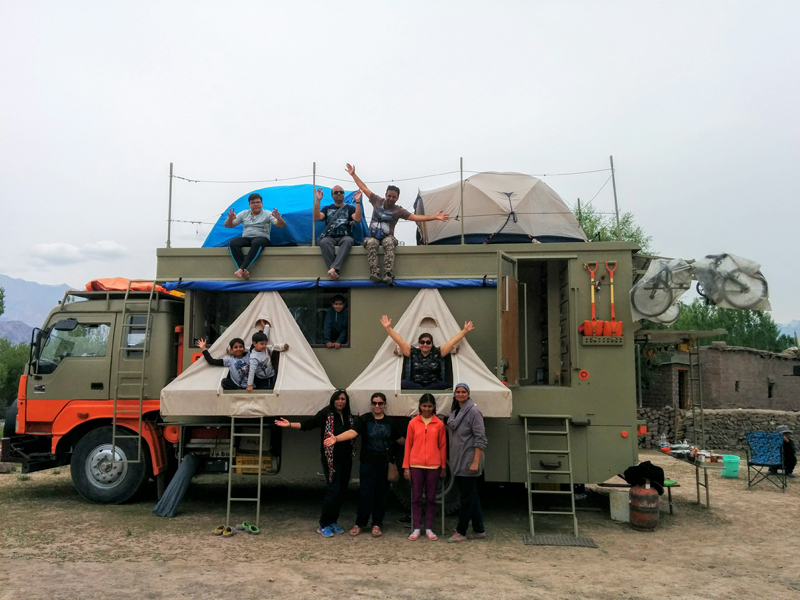 Day 6: 11thJuly: After early breakfast, departure for day trip to Pangong, drive back to Hemis, enjoy evening tea and hot snacks. Take walk to the Gompa and the village. Night and dinner in the camp organized around Taurus at Hemis. Day 7: 12th July: Early morning, visit the world famous Hemis Festival, it’s a much awaited event which has become part of the international tourism circuit. Once the festival is over for the day, enjoy your lunch at the camp, walk the village to meet and greet the folks in their traditional attire. Night with Taurus at Hemis. Day 8: 13th July: Drop at the airport at Leh. Pick up and drop at Leh as a group, individual pick up at extra cost. Hired transport as per the program above. You will get extra hired transport (as part of the package) for Day 2, 3, 4, 5, 6, 7 for excursions. Night onboard Taurus with camping equipment as available onboard. Veg breakfast and dinner, tea (morning and evening) onboard Taurus. Food as per the plan in homestays and guest houses and hired camps. Any food consumed outside or accommodation used for the bad weather or roadblocks or even medical emergencies. Incase of any roadblocks and bad weather if a particular area/portion of itinerary can’t be done then there are no substitutes for the plan, no refunds and adjustments in tariff paid. © Copyright 2018 Greendot Expeditions | All Rights Reserved.